Tharoor in his letter to the Nobel Peace Prize Committee points out that fishermen had rescued people at great personal risk. Member of Parliament from Thiruvananthapuram, Shashi Tharoor in a letter to Ms Beritt Reiss Anderson, the chair of the Norwegian Nobel Committee has recommended that the fishing community of Kerala, who played a pivotal role during rescue operations during the August 2018 floods that devastated Kerala should be awarded the 2019 Nobel Peace Prize. In his letter, Tharoor points out that the fishermen at great personal risks and taking out their boats, which is their main source of livelihood, had saved hundreds during the floods. After the floods, people of Kerala had lauded the exemplary efforts of the fishermen who were often dubbed as the superheroes of the state. 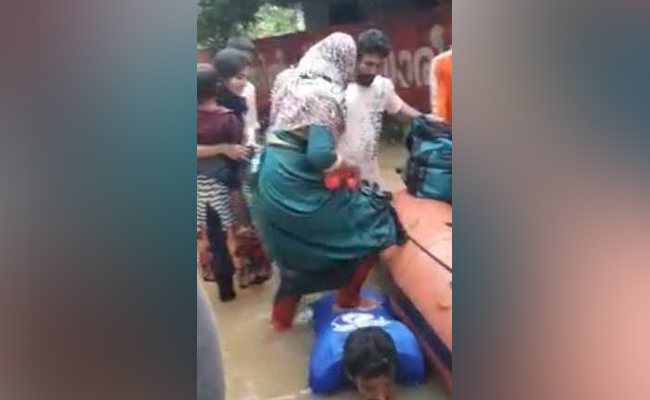 The image that Tharoor speaks about is of that of a fisherman named Jaisal from Malappuram who bend in flooded water to help an elderly woman to enter a rescue boat of the NDRF. Jaisal’s picture had gone viral on the internet after which many had come forward to reward him. The Kerala Government had felicitated the fishermen in a public function in Thiruvananthapuram in September last year. After awarding Rs 3.000 to each fisherman, the Kerala CM had said, “they did not know of this gift. They did not know if the boats they took out would come back fine. They went out into the floods without thinking of anything, without thinking of money or their own lives or their families, to save the thousands trapped. Giving you a big salute from Kerala.